Police Constable Suliano Vasuitoga admitted at the MIOT Private Hosptial following the attack. While escorting the suspect back he was confronted by a group of men when he suddenly felt a strong blow land on the back of his neck. Police have warned “we will come af­ter those who attack our officers”. The warning was issued yesterday by the Acting Commissioner of Police Ru­siate Tudravu following an attack on an of­ficer who was responding to a call for help in Cunningham on Sunday night. Police Constable Suliano Vasuitoga, who is based at the Samabula Police Station, was at his home when he heard a cry for help from his neighbour after youths allegedly stoned his car before assaulting him. PC Vasuitoga gave chase and arrested one of the suspects from a nearby cassava patch whereby he called both Valelevu and Sama­bula Police Stations to inform them of the incident. While escorting the suspect back he was confronted by a group of men when he suddenly felt a strong blow land on the back of his neck. He fell to the ground whereby the attack al­legedly continued where he was kicked in the ribs while another snatched his police torch and struck his head and lower back. A Police report said he was badly beaten up before members of the community came to his assistance.The Southern Division taskforce team has managed to arrest three of the suspects. 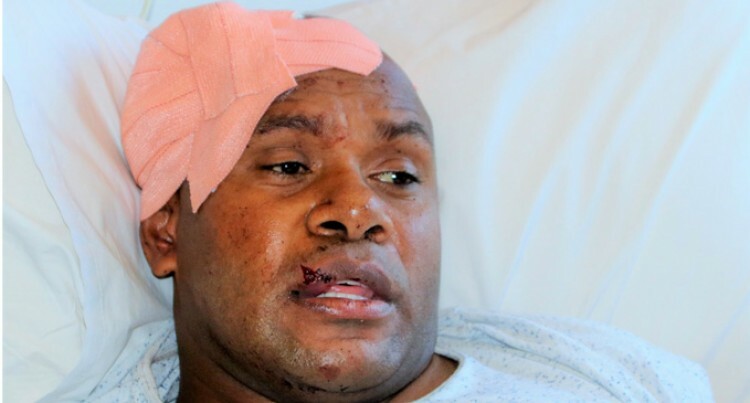 Acting Commissioner Tudravu said PC Vasuitoga was off duty when he responded to the call for assistance and to be attacked in such a manner will not be condoned. “Police officers are never off duty because that is the oath they took to serve and pro­tect life and property, which is why we will not take attacks on our officers lightly as they are simply doing their job whether in our out of uniform,” Mr Tudravu said. “We know the identities of the five men involved and the taskforce team has been directed to arrest all those involved as soon as possible”.